February 12, 2011 we were on our third day of a hospital admission because my wife Holly's blood pressure was elevated and it was causing issues with blood flow to our son Calen's placental blood flow. It was such a strange experience , we already had a 2 year old, Holly is so sick and we just do not know what is going to happen to Calen as Holly is only 26 weeks pregnant at the time. Things had not improved through the days so at about 8pm we were off to a C-Section. Such a scary time but I do feel we went into the surgery calm and collective and optimistic for a healthy son. I had my camera's at my side and had never photographed a birth prior to this. Our doctor said that we would only have a short glimpse of him once he was delivered , then he would be taken away to stabilize him as needed. I was completely set for the moment , I took multiple images of the doctor delivering Calen, once I reviewed the images and saw this one I knew I had something special . This image changed my idea of photography, it allowed me to capture something so natural, raw, and unscripted; it was so inspiring. It took multiple years for me to find and capture my first birth client but 2015 was my start. My passion for birth photography is only getting stronger, I love the idea of capturing something so incredibly special and natural . These images are never replaceable and just like your wedding day, you don't get those unique feelings back, so why not capture it artfully and beautifully? 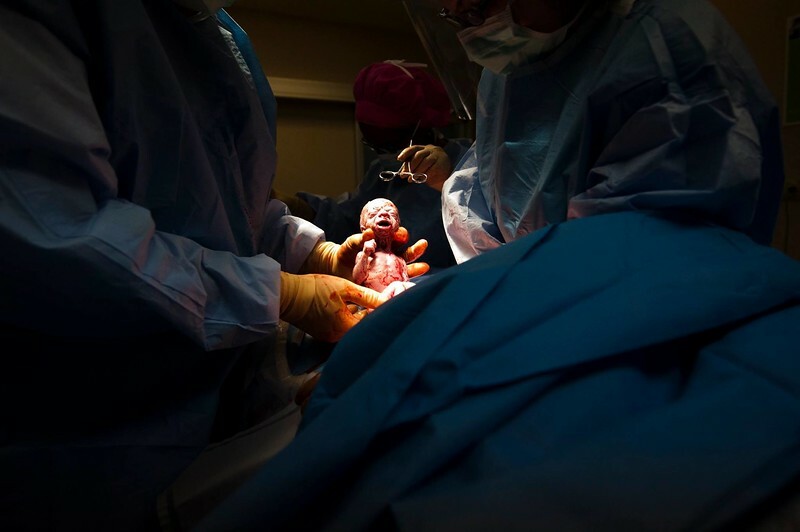 The goal of birth photography is tell your very unique and powerful story. Tim is on call for you from day 1 till your baby enters the world. 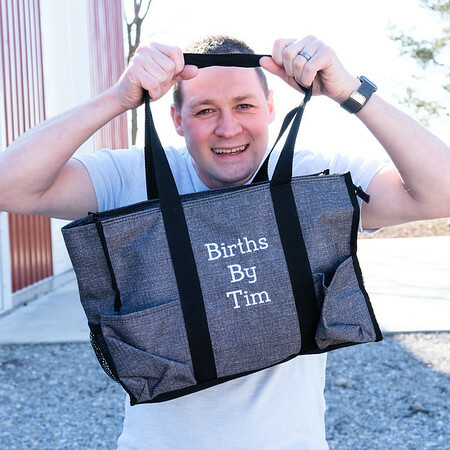 Tim spends his time creating images that bring you back to your birth every time you look at them by focusing on the moments that show excitement, emotion, power, intensity, connections, touches, comforts, and everything that is big and small that makes up your birth experience. There are many questions that you may have about your birth experience and many of them are right here in the Q&A section. If you have additional questions please leave a message or give Tim a call and he will be happy to answer them. "Last year I had my fourth, and last, baby ever. I had mixed feelings about letting Tim come in and photograph the birth. I was going to have a medication free water birth, and there really isn’t anything ‘pretty’ about any of that. One thing I knew was that I didn’t want to have any regrets about having my last baby. 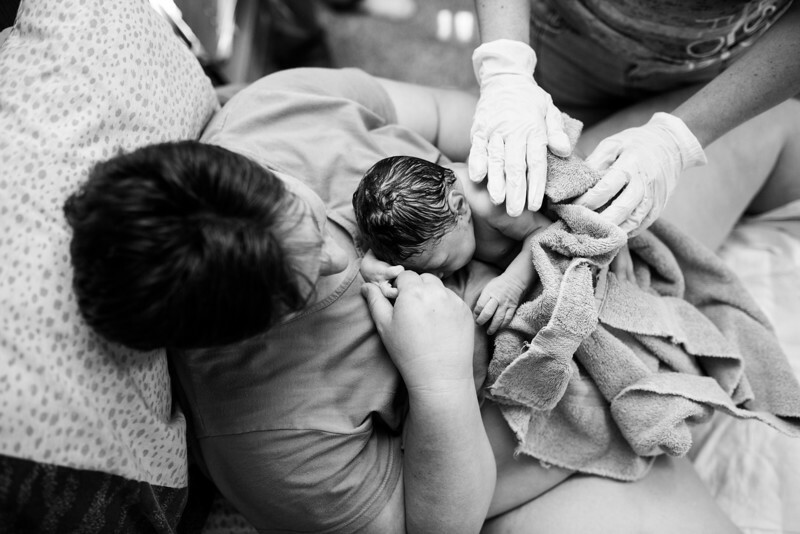 Tim not only captured moments that were quickly passing by that day, he captured memories, feelings, emotions that you seem to forget during the pain and excitement that birthing a baby brings. He made the messy, crazy, and a little scary delivery look like art. He gave us something that we will cherish for the rest of our lives, a way to remember an incredible occasion….a way to relive those thoughts and feelings…..a way to never forget. 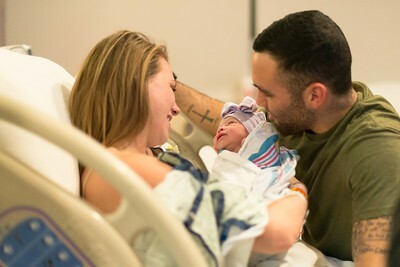 Thank you, Tim, for helping us to keep our memories so fresh and vivid and for capturing our first moments with our little boy." "Tim was not only available and eager but helpful in so many ways! He was there to document the best day of our lives as well as help it to be that most special day! We would recommend him to ANYONE! Thank you Tim, you'll never know our full appreciation!" 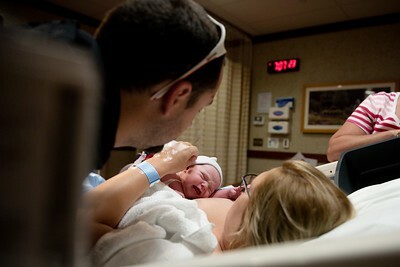 "Tim photographed our firstborn entering the world and it was a great experience! The photos are something I will always cherish, and I loved the compilation video he put together for us. Highly recommended!" Tim is open to travel anywhere when possible but his normal service area includes Greenville, OH, Dayton, OH, Richmond, IN, Indianapolis, IN, Cincinnati, OH, Lima, OH , Columbus, OH, and the surrounding areas.